New & Improved! Sews up FAST! Quiltsmart interfacing makes it easy to sew and adds strength! Smart to sew, smart for the environment! Optional pocket is a snap to add on. All straight sewing! Reversible! Easy for beginners! Just two easy steps, fuse and trim, then sew and turn. The toddler "Market Dress" is a great little variation, and also reversible! Depending on how you finish the straps, it can grow with the child - fits about 2T (dress) - 4T(top). 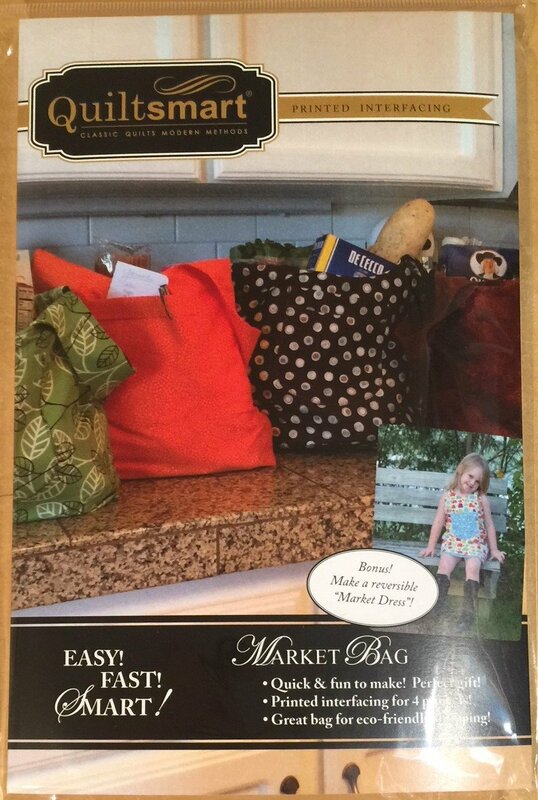 This pack contains instructions and Quiltsmart printed interfacing for 4 Market Bag/Dresses.